With summer rapidly approaching, or in our own case, already upon us, it seemed only fitting to take a look back at the highlight of summer, 2014. 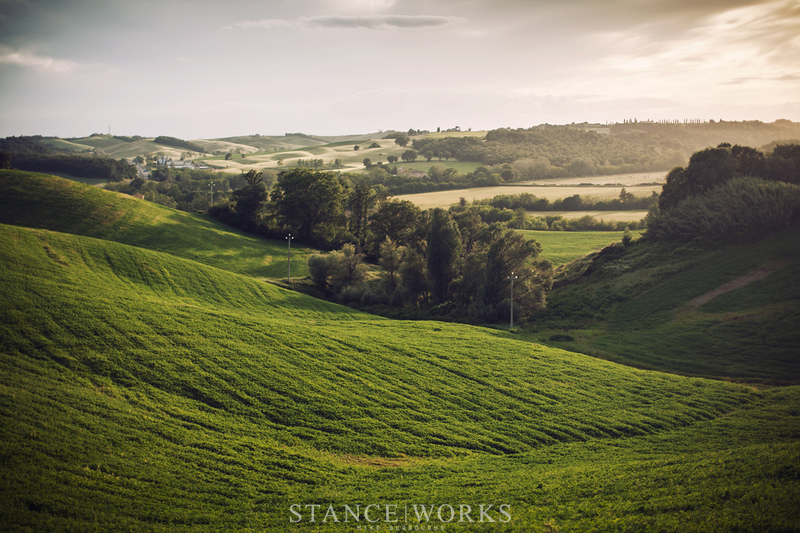 Easily the most exceptional opportunity presented to us at StanceWorks so far, Andrew and I spent a week touring the twisting roads and rolling hills of Central Italy. The setting of our travels was sublime; countrysides that glowed green and gold, unlike anything here at home, and ancient cities built of stone that eclipse America's oldest settlements by centuries. The roads of our travels fought with the scenery, wriggling back and forth in a draftsman's nightmare but a driver's dream, carving up and over, through and under the landscape. Best of all was the equipment suited to a driver's palate. 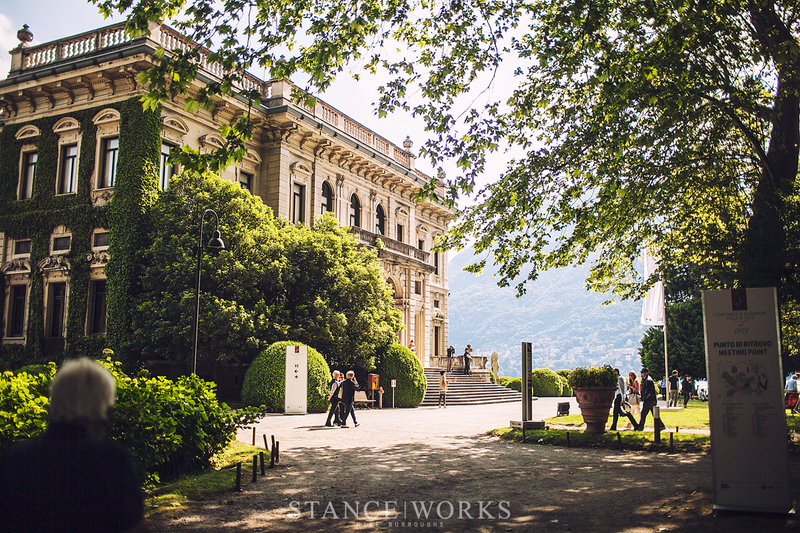 Parked along the shores of Lake Como were some of the world's most collectable and sought-after cars, present for a weekend of viewing. 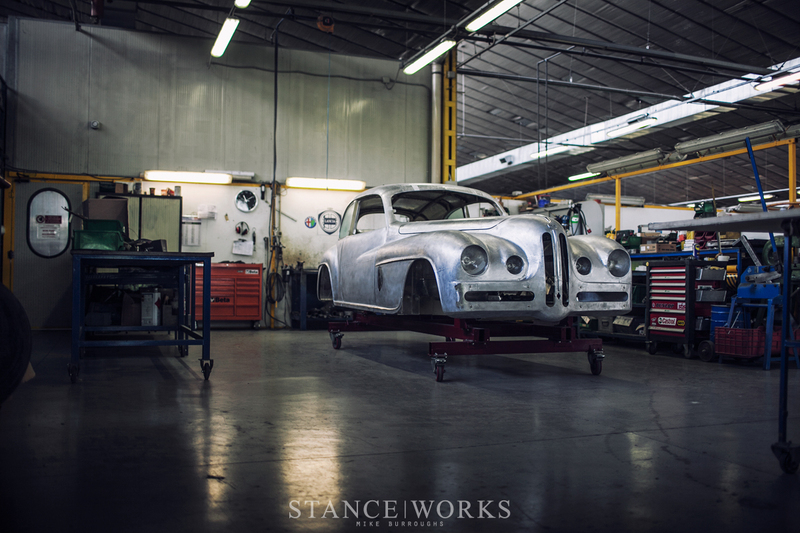 For driving, we were offered the keys to the finest machinery BMW has ever built. 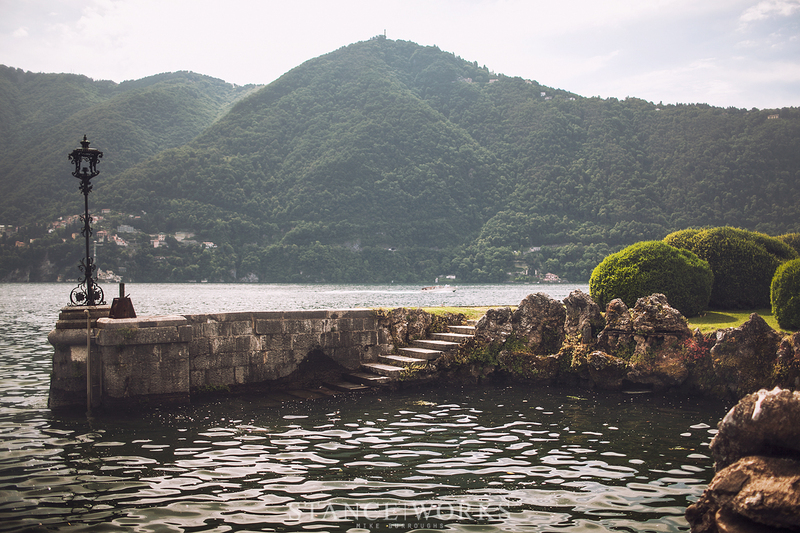 Our trip began on the waterfront of Lake Como. 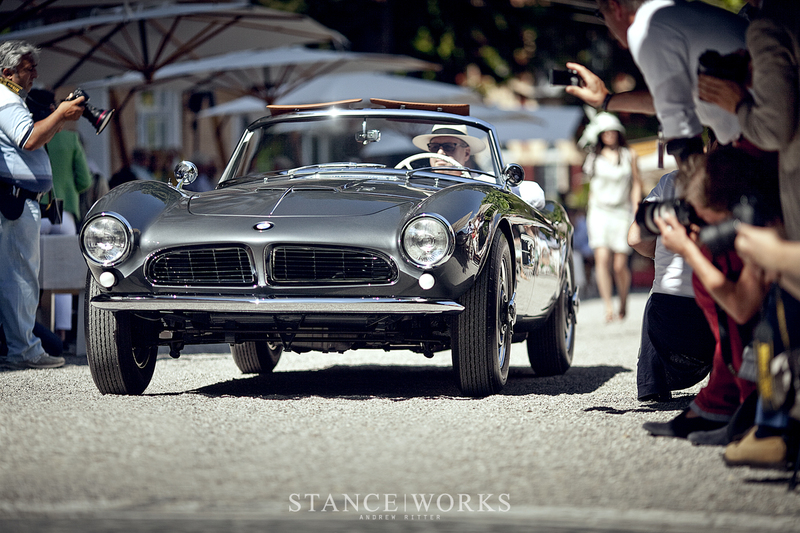 For the past decade, BMW has played host to the Concorso d'Eleganza Villa d'Este, or the Competition of Elegance of Villa d'Este, one of the most prestigious car shows in the world, along side the Pebble Beach Concours d'Elegance and the Amelia Island Concours d'Elegance. Cars from around the world are flown in to compete in respective categories, as well as for honors as Best of Show, coveted world-wide amongst car collectors. 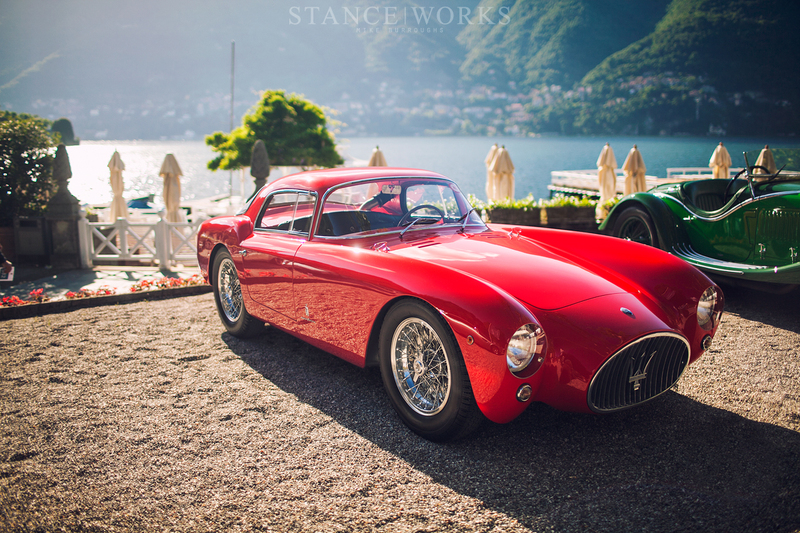 The cars in attendance each year range from pre-war Italian coach-built cars to post-war American Detroit classics, and from hand-shaped twelve-cylinder brutish Ferraris to exquisite four-cylinder Alfa concepts in efficiency. They are the best the world of car collecting has to offer; the best-kept examples of the cars that have laid the groundwork for all of automobilia. The Concourso d'Eleganza is also used by coachbuilders and manufacturers to showcase their latest creations, typically in the form concept cars and studies in future design language. For 2014, BMW &amp; Mini partnered with Touring Superleggera to build the Mini Superleggera Vision, which blends classic Italian construction and aesthetics with British style and modern engineering, yielding a one-off hand-built concept. 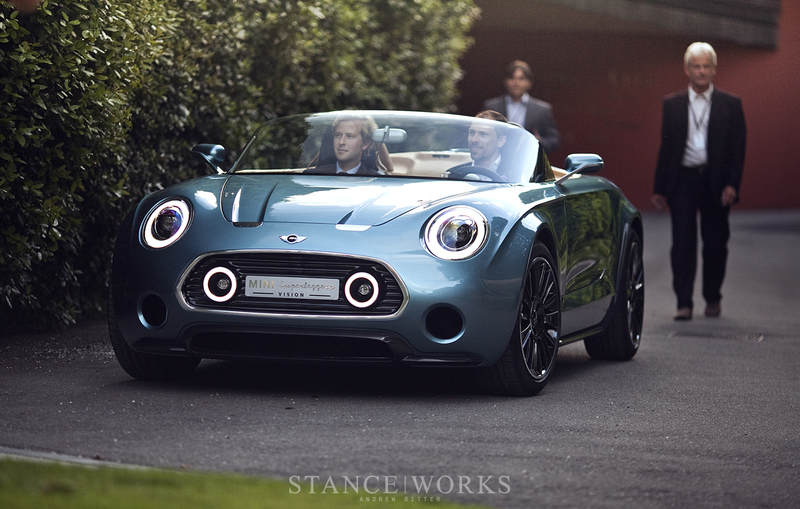 Drawing inspiration from classic British racing sports roadsters and Italian design principles, the Mini Superleggera Vision was built entirely in-house, starting with sketches before reaching fruition through surface engineering and structural analysis, style models and prototypes. The result was a turn-key roadster that drove onto the show field to be met by an anxious crowd. 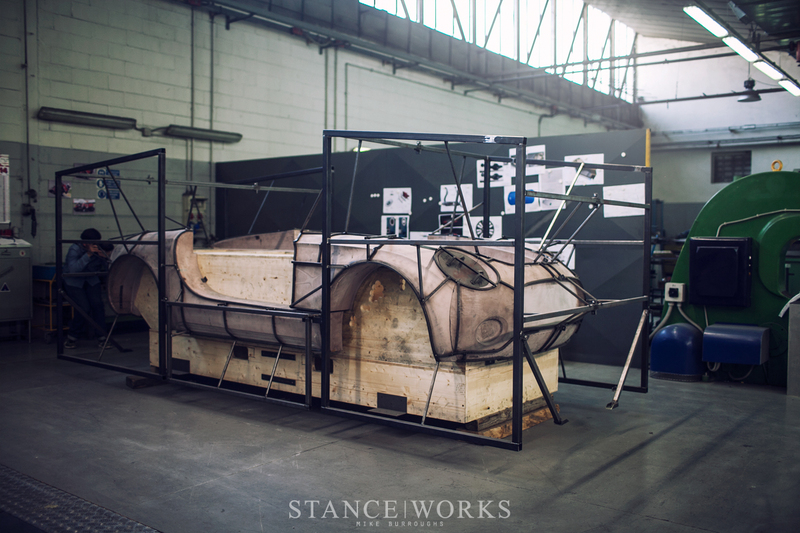 We were offered the chance to see more of the process by visiting the Touring Superleggera facility itself. Superleggera is responsible for a number of iconic cars, ranging from Aston Martin's DB4 and DB5, and Lamborghini's first production car, the 350GT. They're also known for BMW's early 328 Touring Roadster, and more contemporarily, Alfa Romeo's Disco Volante. 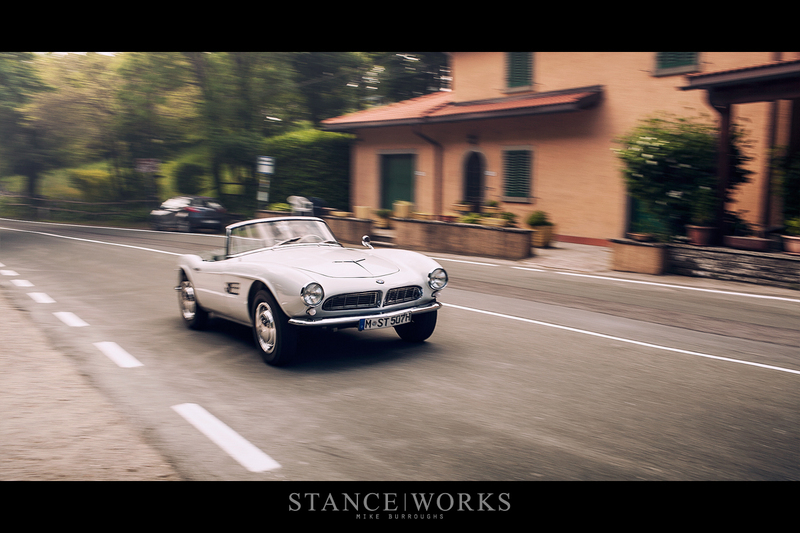 Their construction methods of the past, which contribute to their name and business philosophy, have morphed and adapted with time, still catering to hand-built, hand-crafted Italian sports cars. 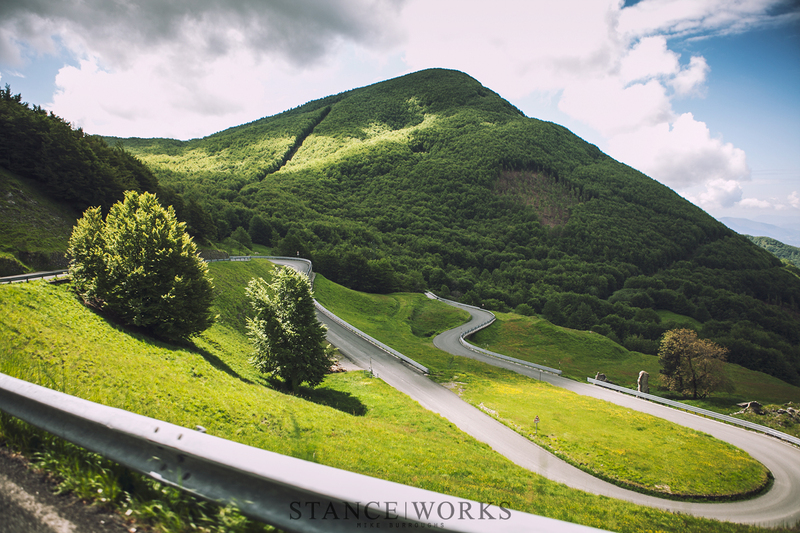 You can read more about our trip through the Touring Superleggera facility here. After two days of car shows on the Como waterfront, we departed towards Parma, Italy, and then further south, through the hills of Tuscany. 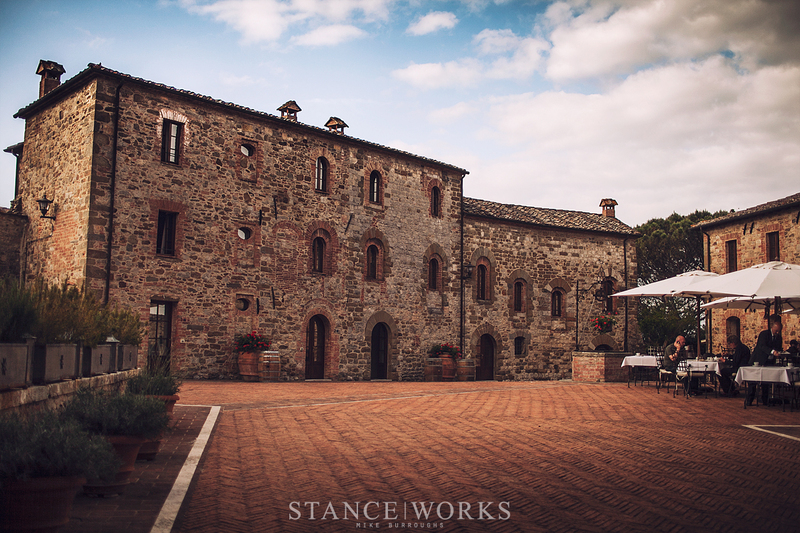 Our destination: an 11th-century Castle-turned-hotel/resort, the Castel Monastero. 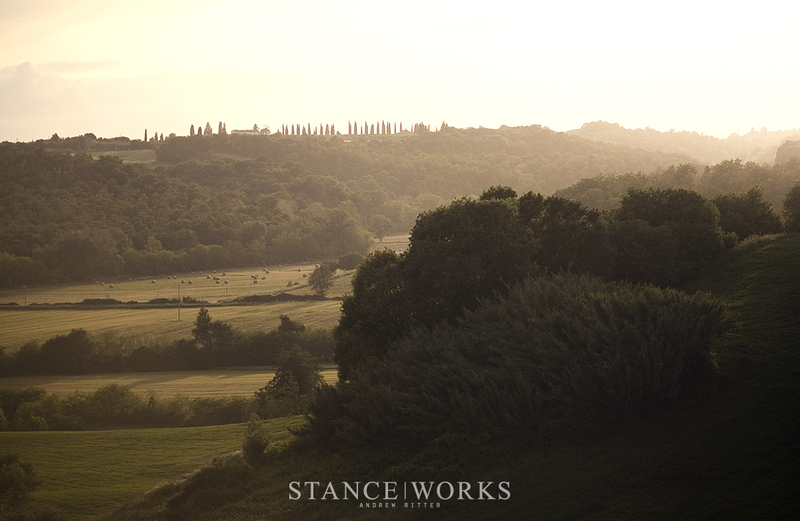 Perched atop the hills in Tuscany, the Castle's origins are somewhat lost to the depths of time and history. First mentioned in historic documents in 1044, there's nearly a Millenia of history within the walls, which played host to second part of our journey, a near-week-long cyclic road trip. As the host of our extravagant trip, it was of no surprise that BMW brought an impressive, beautiful, and eclectic collection of cars for us to drive. Four days of carving mountain roads was set on our itinerary, with different routes, destinations, and sights planned for each day. The collection of cars was varied into three main categories, the first of which was defined as "V8 Luxury Cars," further separated into two sub groups. 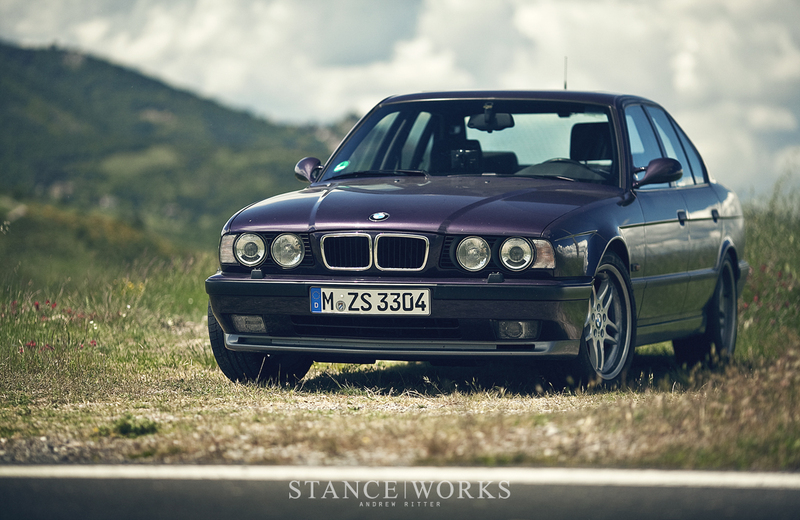 There were the new BMW V8s: the 650i Cabrio, the 650i Coupe, and the 750Li sedan, and four classics. 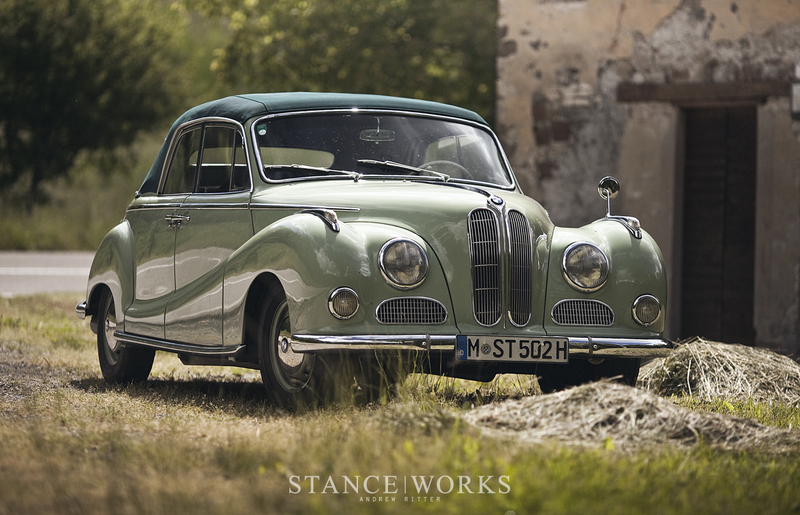 The BMW 503 Coupe and the 502 Cabriolet were among the first we drove. The 502 Cabrio was enjoyable to drive, with the essence of the 1950s strewn throughout the car. The column manual shifter and elegantly dainty controls inside offered a unique sense of satisfaction to operate, and the car's handling characteristics mimic'd a tugboat, requiring a certain finesse to rock back and forth through the turns. Although sluggish and lofty, the driving experience behind the wheel of the 502 was one that instantly brought a smile to our faces. Rather than harnessing the power of a sports car and directing it where to do, the 502 required you to elegantly guide it through the mountain roads as you would with a ballroom dance partner. While both cars proved to be exciting, it was hard to compare to the other pair of classic BMW V8 luxury cars. 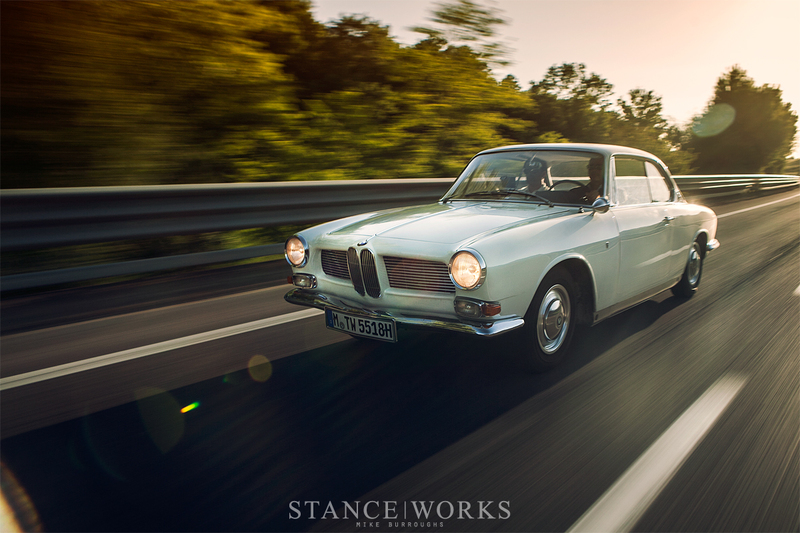 The BMW 3200CS Bertone was wildly unique; the front end blended design elements from several famous BMWs, such as the 507, the 503, and even a subtle hint of 2002. The roofline is incredibly similar to the E9 3.0CS, as is the rear end, where the 2002's design elements express a stronger presence, most notably in the tail lights. The 3200 also had the highest output of the classic cars, with 160 horsepower to play with. 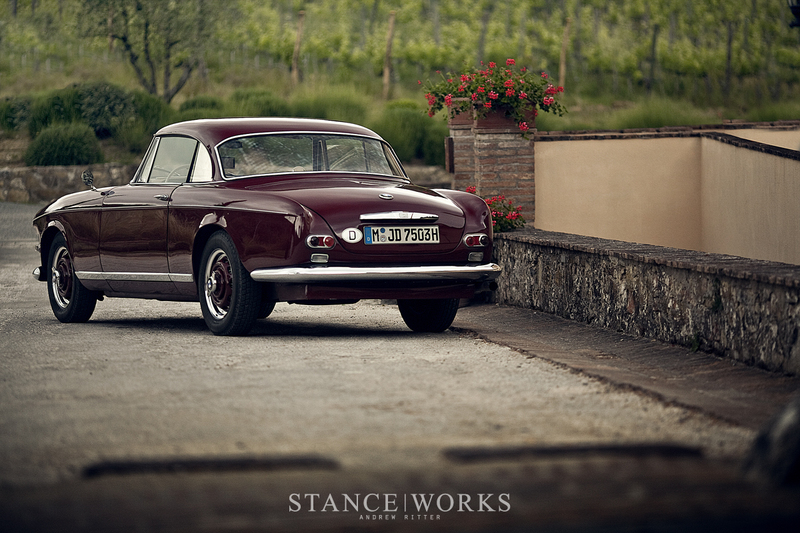 However, even the 3200CS was a bore in comparison to BMW's now-illustrious 507. This particular car, a series-2 example, was the highlight of the week in many ways - few are lucky enough to sculpt the Italian hillsides with a $2,000,000 car. 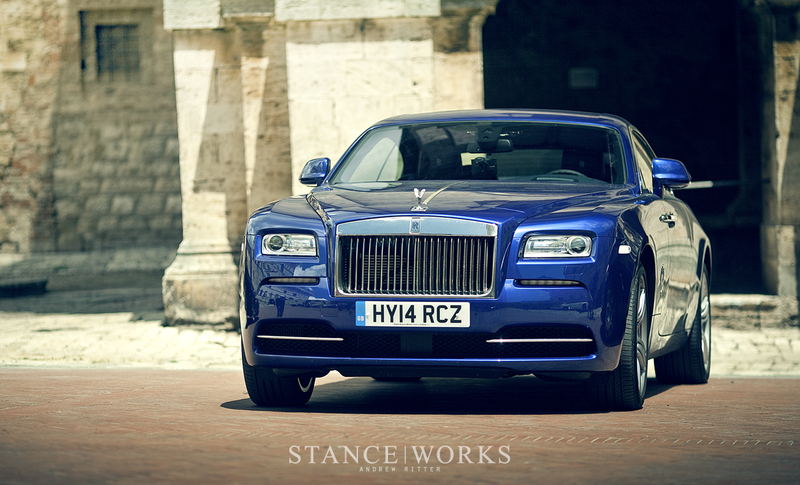 The second category was the inclusion of the Rolls Royce lineage. Since Rolls is owned by BMW, many of Rolls' crowning cars were brought out to drive. The modern lineup was present; the Ghost, Phantom Drophead Coupe, and the Wraith, all of which left a lasting impression, but not so much as the classic lineup. 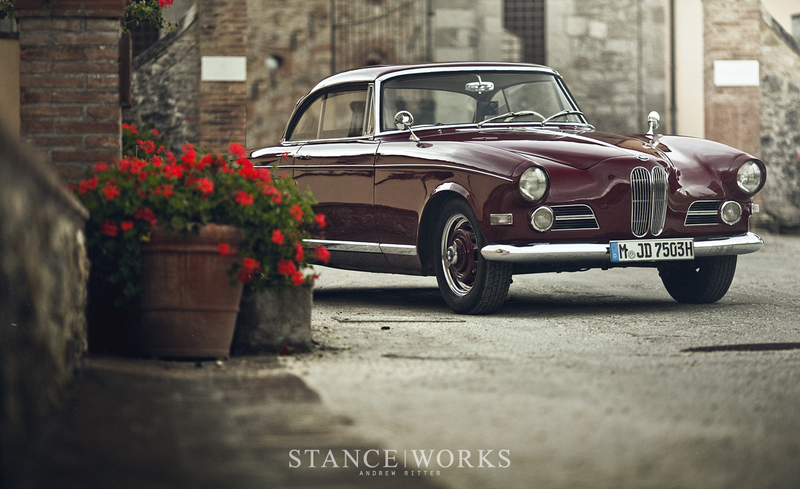 The earliest in the group was the '57 Silver Cloud I Drophead Coupe, followed by a 1964 Silver Cloud II Flying Spur. 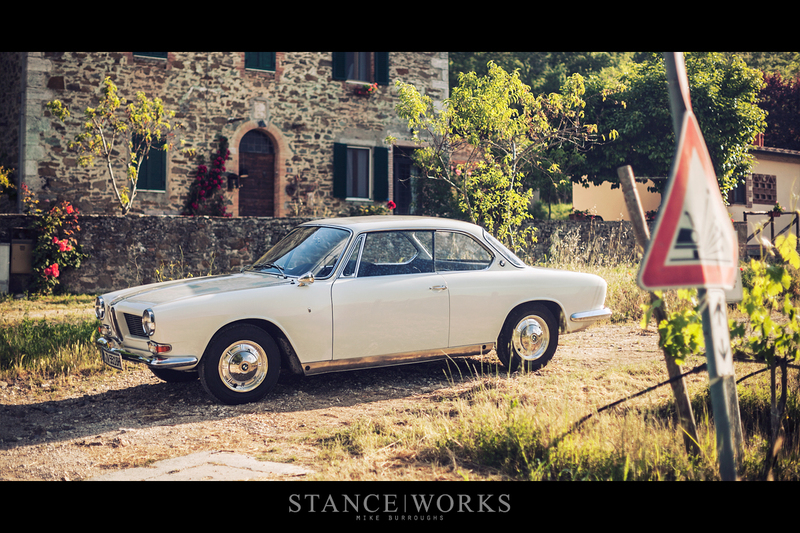 We carefully piloted a '97 Silver Spur through the busy hustle and bustle along the outskirts of Florence, remarking at its refined manner and quiet driving experience. The group of illustrious luxury cars was rounded out by the '99 Silver Seraph. The third category, undoubtedly the most exciting to drive of the bunch, was the range of M5s. To celebrate the 30th birthday of the original M5, cars from each generation were prepared for our drive. The latest F10 M5 was easily the fastest car present, with each previous M5 showing off its differences to each prior and successive car. 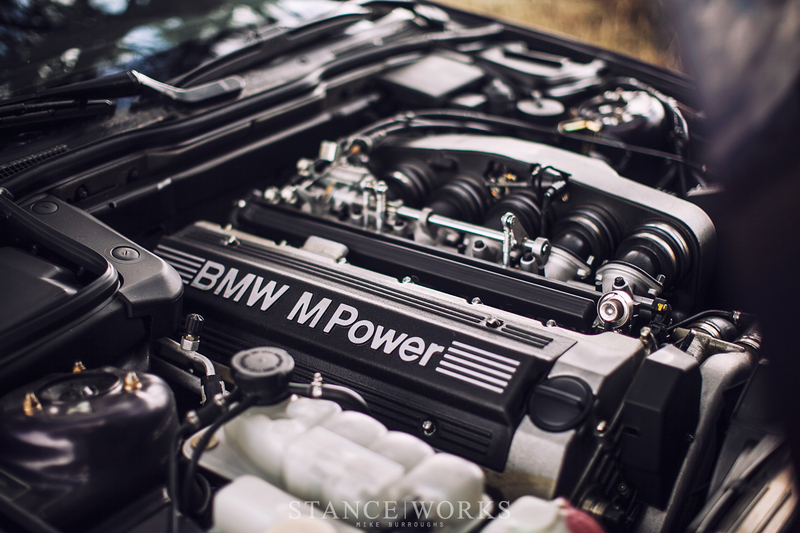 The E60's V10 engine was in a realm of it's own, and the E39's balance with the S62 V8 is still heralded as one of the best cars BMW has ever built. 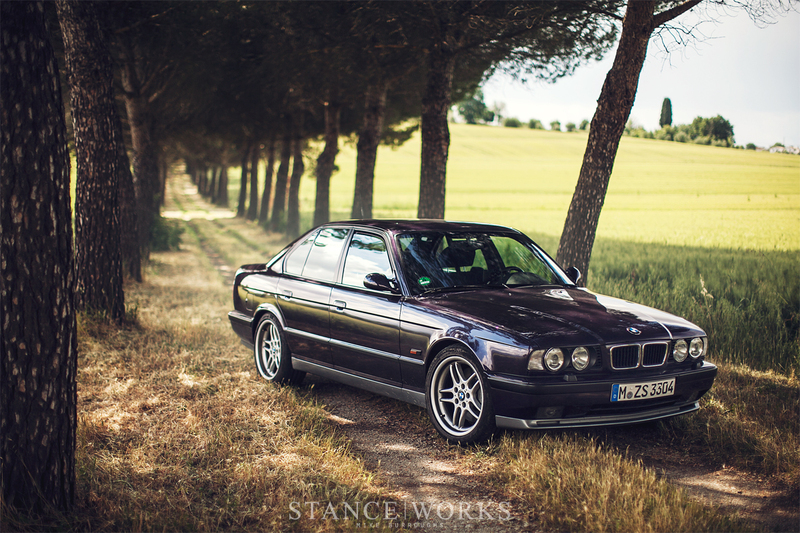 We spent four or five hours behind the wheel of the pinnacle of E34s: the 3.8-liter M5. The S38's scream was everything we had hoped and more. Inside, the iconic hurricane cloth interior made both Andrew and I yearn to get our hands on one of our own. But one car outshined E34, the Rolls Royces, and the classics. 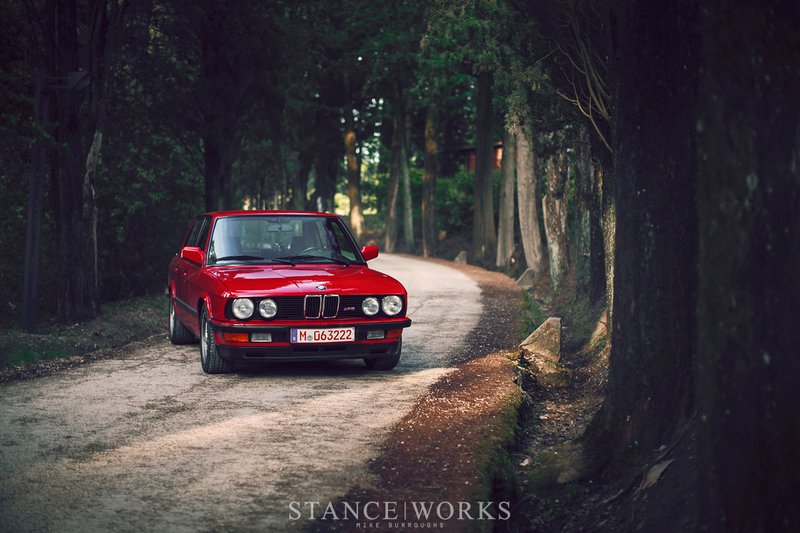 The E28, embarrassingly enough, outclassed even the 507 for me. The original M5 holds a place near and dear to my heart, earning its own lengthy narrative on our trip through Italy, here. I struggled throughout the whole week to dream up a better car, and even still, nothing compares to everything the E28 M5 had to offer. As I affectionately wrote before, it's the "girl of my dreams," and my day spent with the car was the icing on the cake for an unforgettable road trip. A full year later, it's both exciting and worrisome to look back on what an experience the trip was. Fears of "peaking early" are present, but are fortunately lost behind the elation and enthusiasm instilled from an unforgettable adventure that meshed one of the world's most beautiful places with the world's best cars. Someday we'll return to retrace our route through the mountains and hills, only next time, we hope to be in cars of our own. If luck is on my side, I'll be behind the wheel of an E28 M5 once more, but beggars can't be choosers; I'll take what I can get. These old (503, 503, 507) BMWs are fantastic! So simple and so stylish. Imagine if BMW made cars like this today. The Z3M and the Weissman cars are the only things that come close in recent years. 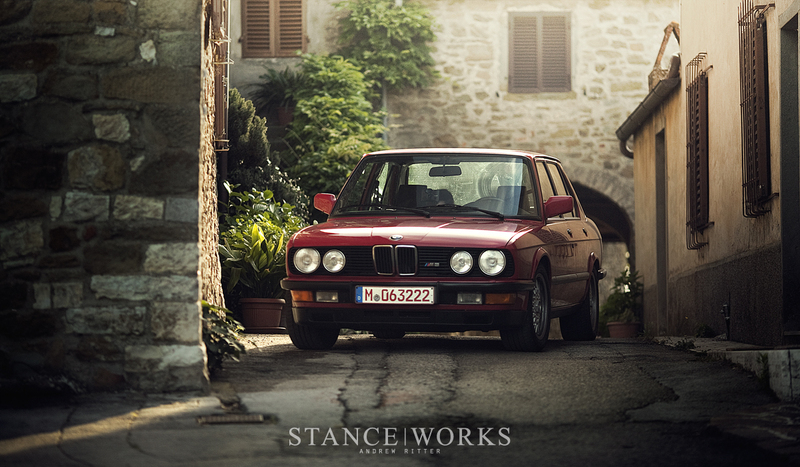 Still love E28 but!